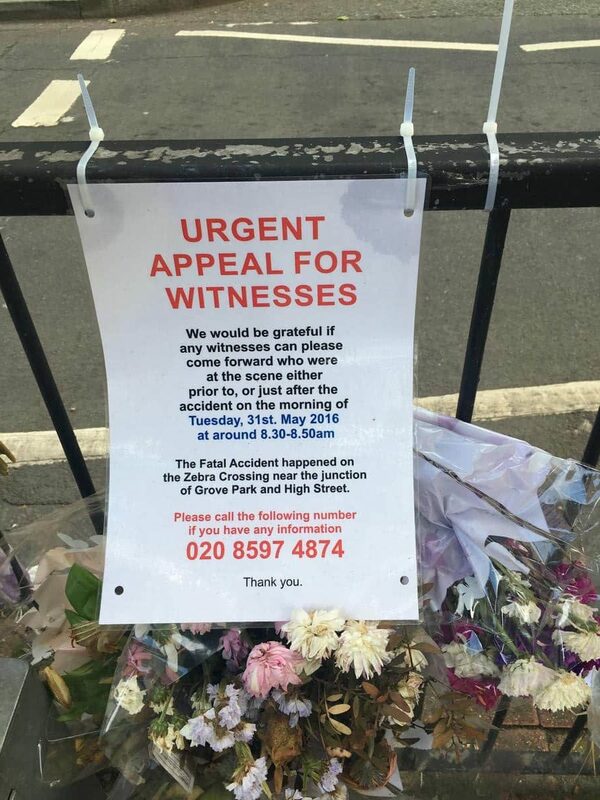 Three weeks after the death of Basant Lal Sharma in a collision on the pedestrian crossing on Wanstead High Street, his funeral is to be held. 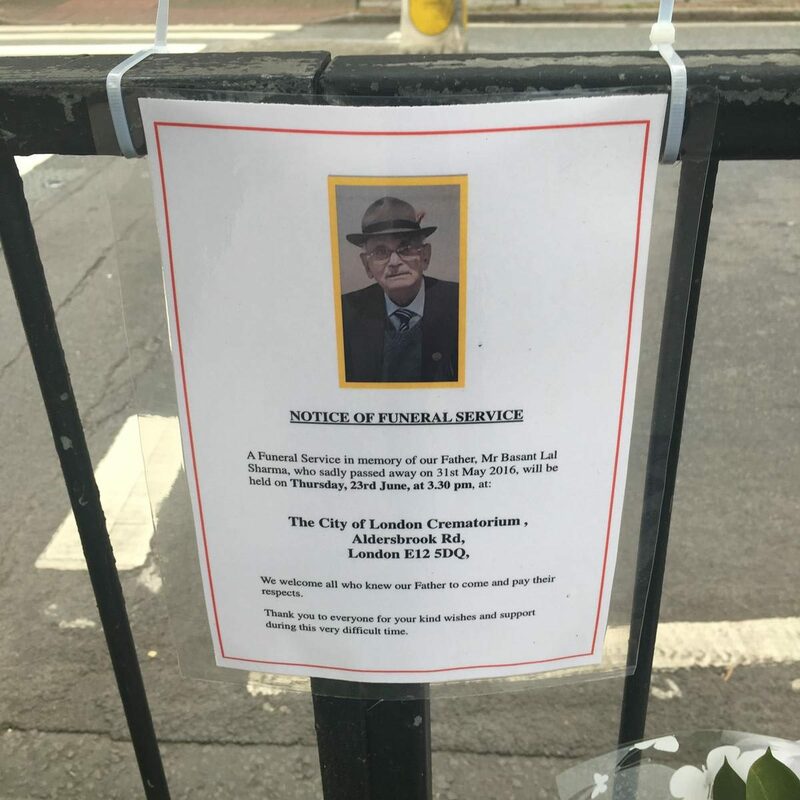 Mr Sharma, who was 91 and had 15 grandchildren and five great-granchildren, had lived in Wanstead for some years after moving from the West Midlands. He would walk around Christ Church Green twice each day. 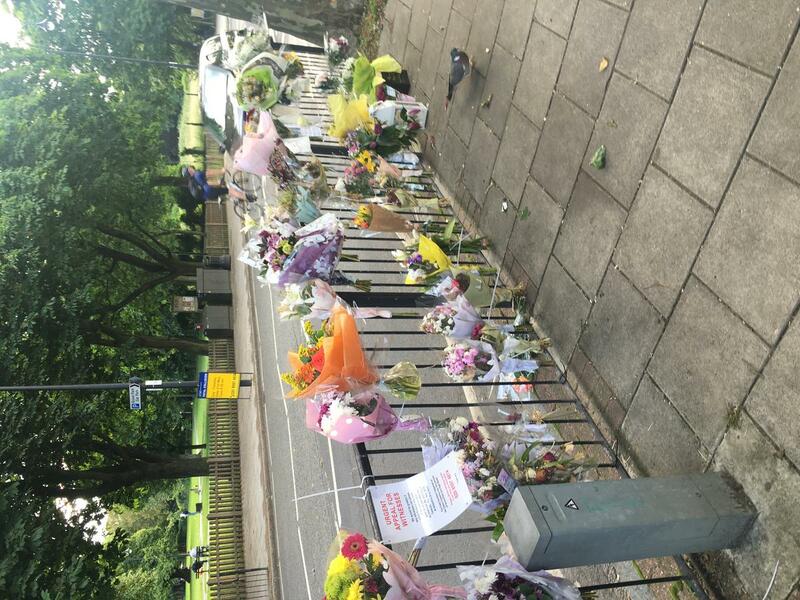 His family have called for a campaign to move the location of the zebra crossing at the top of Grove Park, saying it is unsafe in its current location. His funeral will be held at the City of London Crematorium on Thursday 23 June at 3.30pm, and his family say all who knew him are welcome. *Witnesses to the collision are still being sought, as detailed in the photograph below. That is such a good idea to move the crossing as the trees can hide a person waiting to cross. Yes… absolutely, I agree! So many times I have thought this too. It’s so very sad that this gentleman has had such a tragic death. Is there a petition to move the crossing? I would gladly sign it and ask others to as well. My thoughts are with his family. RIP.